Home / boxsetup / Uni-Android Tool [UAT] Version 10.02 Released.Setup Download. / Uni-Android Tool [UAT] Version 10.02 Released.Setup Download. 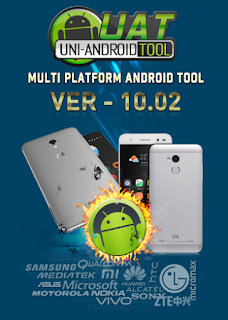 Uni-Android Tool [UAT] Version 10.02 Released.Setup Download. Gsm Solution December 09, 2017 boxsetup, Uni-Android Tool [UAT] Version 10.02 Released.Setup Download. Biggest ever All in One Android Tool. With Basic to Advance Functions. Present and Next Generation Tool. Fixed And Improved Qualcomm Read Firmware. Download Uat V10.02 Setup Link.